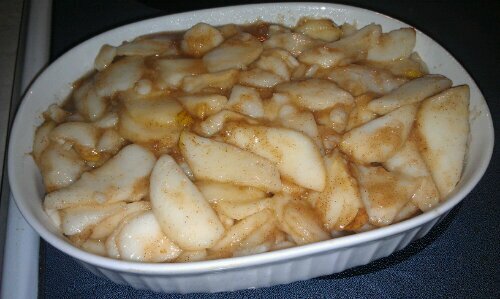 Baking a pear crisp was a fantastic way to use up the Harry and David’s Royal Riviera Pears I received as a Christmas gift. Pears aren’t a fruit I work with or have on-hand often, but they are delicious and a nice change from the every day apple. Flavorful and comforting, this recipe for Pear Crisp was taken from Paula Deen’s Southern Cooking Bible. Check out the pictures below to see how I completed the recipe. 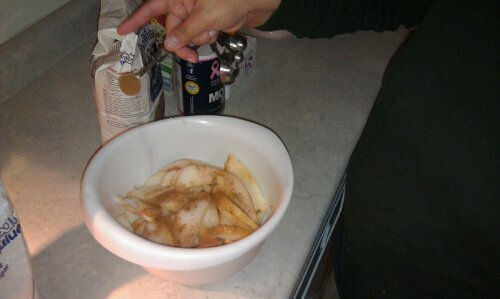 After the pears are peeled, cored and sliced, toss them with sugar and cinnamon. Spread the filling in your casserole dish. 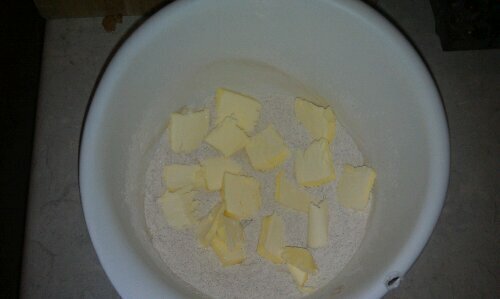 Combine your dry ingredients, then cut in cold butter. 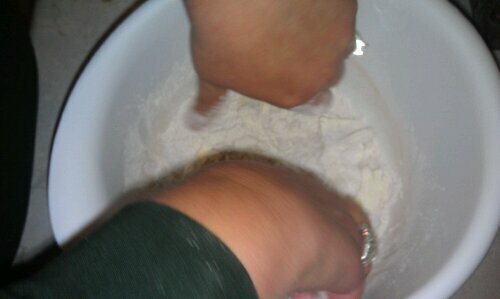 It’s important that your butter is cold so the mixture becomes nice and crumbly. You can use a fork or a pastry cutter, but I find that using my hands works just as well. As Ina Garten says, clean hands are a cook’s best tools. Just work quickly, because you don’t want the heat from your hands to melt that butter. 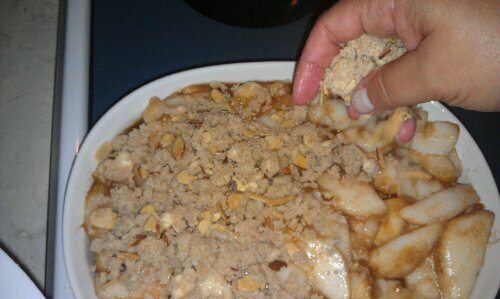 Stir in your almonds, then crumble your topping over the filling. The filling bubbles over and the topping gets crispy and golden brown. I like to serve it warm with vanilla ice cream, but it also tastes great at room temperature. Enjoy! 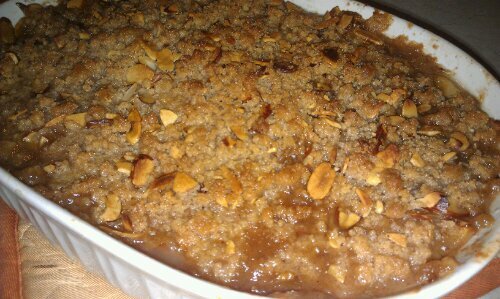 I enjoyed your video and recipe for the pear crisp. Yum.